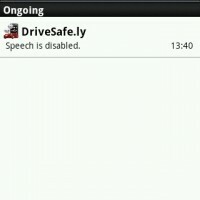 DriveSafe.ly is an application that will read aloud the text messages you receive while driving or doing anything that stops you from looking at your Android’s screen.Â The application itself is free (available from the Market) but to get more choice of voices or to be able to have more words converted (250 words per message for free), you’ll have to buy either a one time ($13.95) or monthly ($3.95) subscription (see here for details). 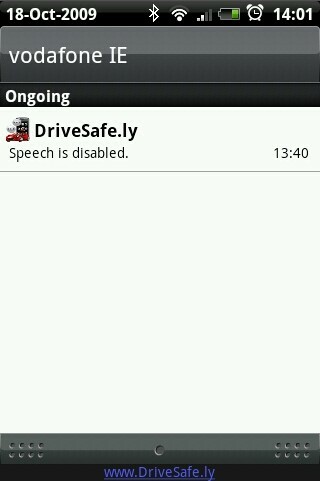 This is a showcase application forÂ iSpeech. 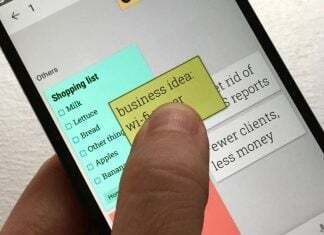 As a showcase, it is working well to demonstrate the ability to convert text to speech but it fails to be an outstanding Android application. The basic functionality is present, but there is room forÂ improvement. 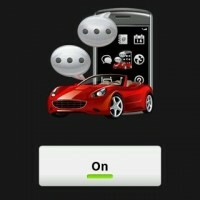 When receivingÂ an SMS, the application will send it to the iSpeech server and will return back the audio to your phone.Â This is actually one of the cons of this app. Â It is fast at home with a broadband access but could take up to 10 seconds with a slow connection on the road. That could also be an issue if you are driving in an area with bad coverage. 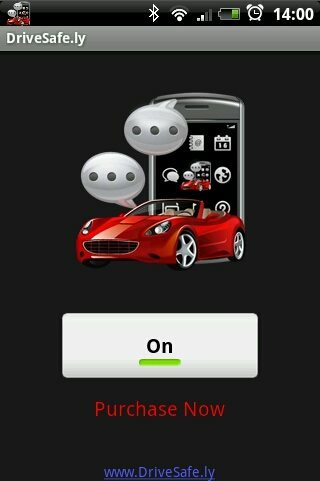 It would be better if theÂ conversionÂ to audio was done on the device itself. The voices are natural enough but keep in mind that only English text will work. Abbreviation and dates are converted to full words, for example you will hear 23rd October 2009 if in the text you have 10/23/09; you can test and hear this on iSpeech. 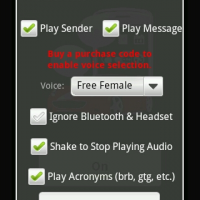 Even if the voices are clear, in some cases, it would be great to have the message automaticallyÂ repeated 2 or 3 times.Â Plenty of us listen to messages on voice mail more than once. It might read like a bad review, but don’t get me wrong, DriveSafe.ly is a good app that should be used by all drivers (it is also available on other phones) so that they don’t have to look at their phone while driving. They can hear the messages and stop if they need to reply. You will find that in most cases you don’t need to, getting the information read aloud is enough. There is an option to send a customized auto-reply to the sender that will let them know you’ve heard them.